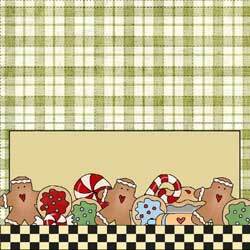 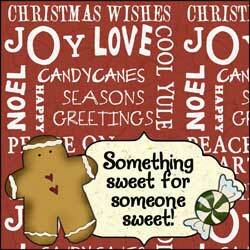 Here are 37 printable bag toppers for all your baked good needs for Christmas gifts from your kitchen. 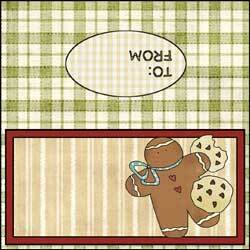 There are 2 sizes available for each treat bag - one is a 4" and one is a 7". 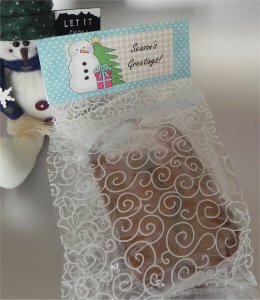 If you place the treats in a resealable plastic sandwich bag, the 7" can be cut down a little to fit the bag. 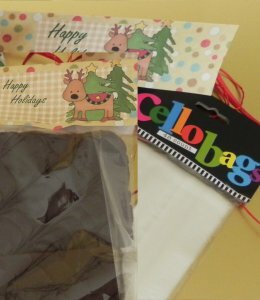 Some of the Cellobags you can purchase at a hobby store for baked goods are only 4" wide - hence the 4" version. 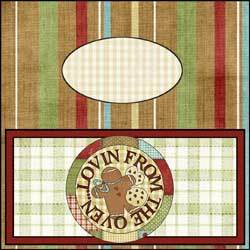 Even a plain ole brown lunch bag comes alive with one of these cute bag toppers. 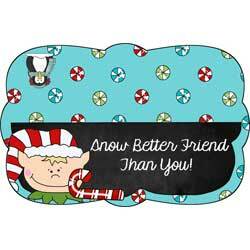 Personalize each Christmas bag topper with your own sentiments. 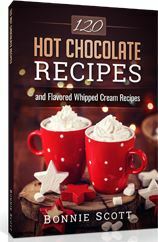 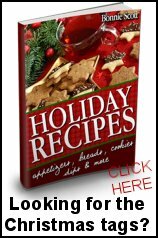 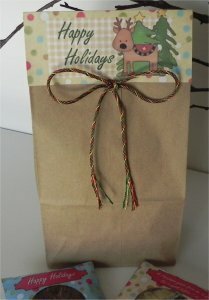 Christmas treat bag ideas - use for giving homemade goodies, as stocking stuffers, gifts, bake sales, craft shows, office parties, neighbors and more. 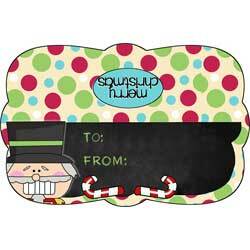 The 7-inch wide bag toppers work well with a resealable plastic bag. 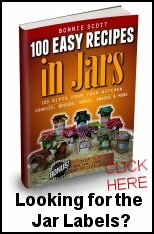 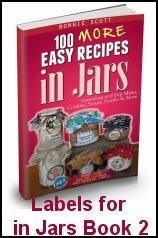 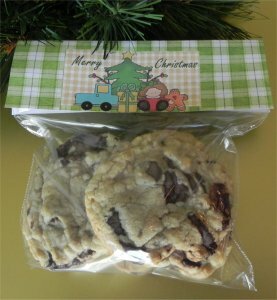 The bag easily holds 4 cookies and is an economical way to make gifts from your kitchen. 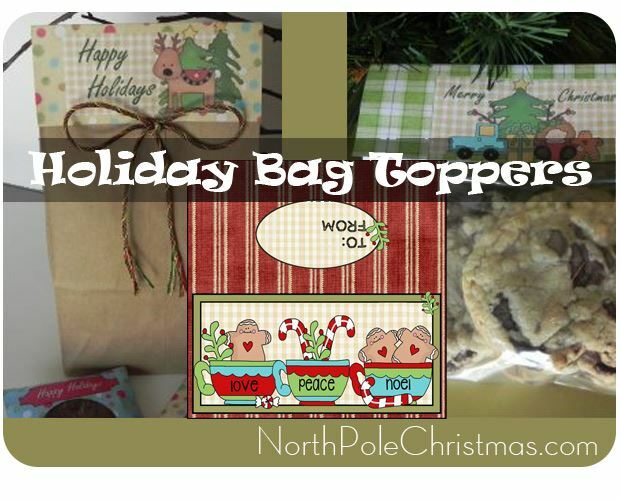 Use the 7-inch bag toppers for economical brown lunch bags - just cut to size for a large Christmas treat bag..
A mini loaf of bread fits perfectly in a large Cellobag. 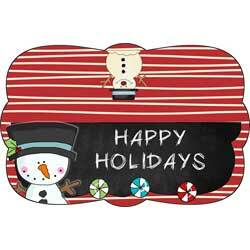 Clear plastic cellophane bags that are 4" wide are available at craft stores. 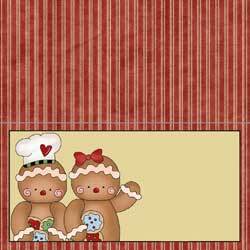 They easily hold 1 or 2 pieces of brownie. 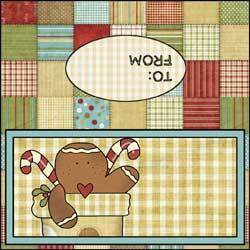 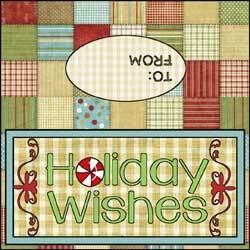 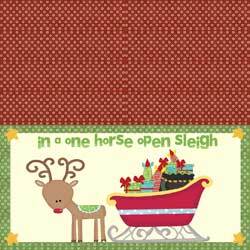 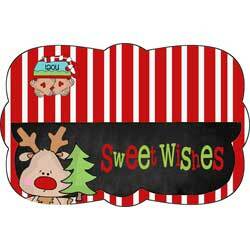 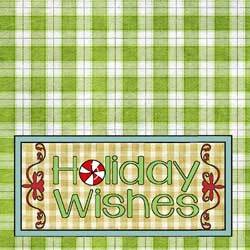 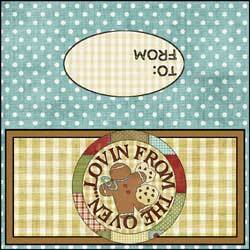 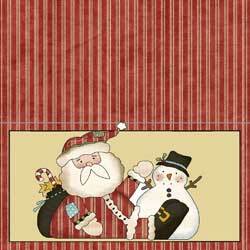 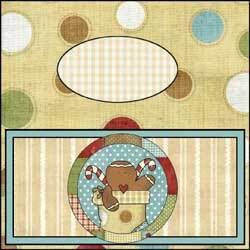 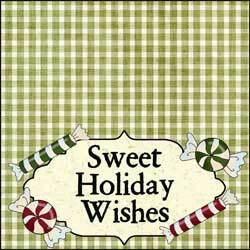 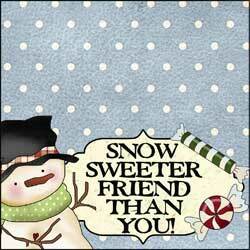 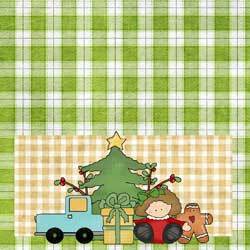 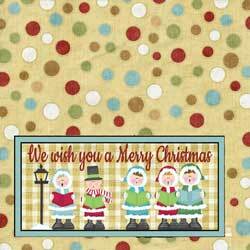 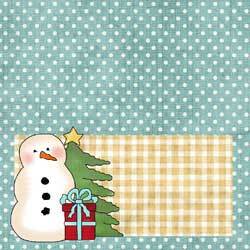 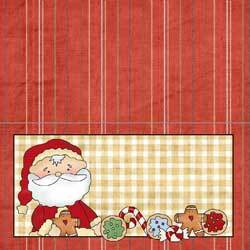 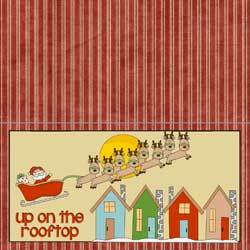 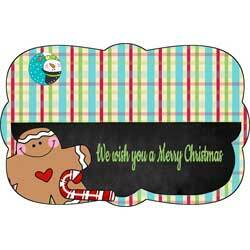 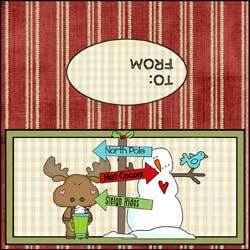 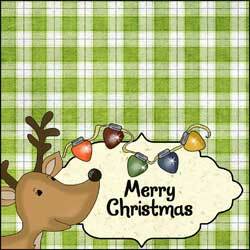 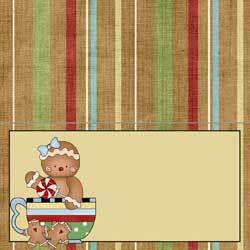 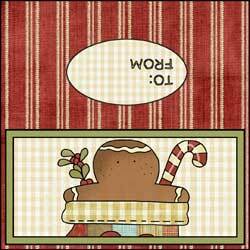 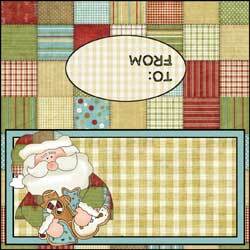 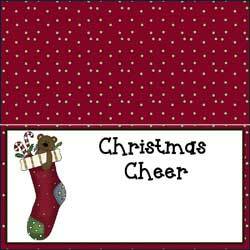 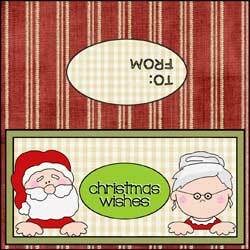 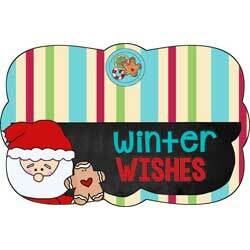 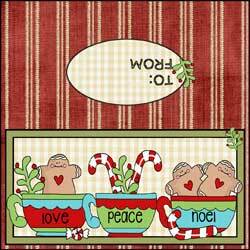 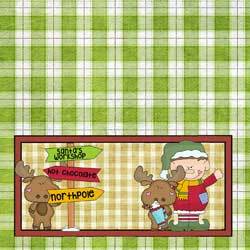 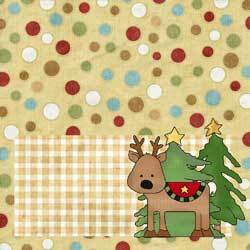 Click here for 6 NEW Christmas Bag Toppers!